Marlene Badger saw Walt Disney’s animated musical film “Snow White and the Seven Dwarfs” when she was 5 years old and she fell in love with singing. She went on to become a classically trained mezzo soprano, was a finalist in the Metropolitan Opera regional auditions in 1965 and performed professionally for nearly 30 years. 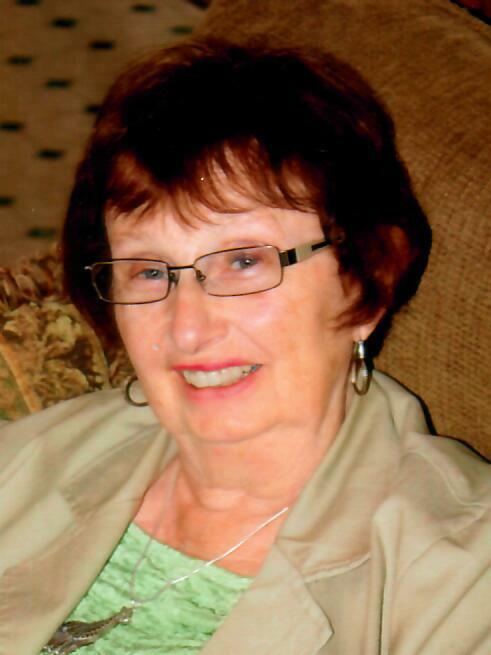 She died March 23 in her North Tonawanda home after a long illness. She was 86. Born Marlene Ann Graf in Buffalo, her father was a German immigrant who helped build the breakwater at the foot of West Ferry Street. She attended Most Holy Redeemer School and was a 1950 graduate of Holy Angels Academy, where she sang with the Glee Club. She earned a secretarial degree at Bryant and Stratton Business Institute and worked several secretarial jobs while dating Richard G. Badger, who vowed to marry her after seeing her in a pew in front him at a church service. They were married in 1956. She also trained with a number of vocal coaches and began her professional career in 1960. She performed numerous times with the Buffalo Philharmonic Orchestra, often wearing dresses made for her by her mother. In the early 1970s, she worked with Young Audiences of Western New York and created a group called the “Opera”ators, which introduced opera to elementary school students throughout Western New York. From the mid 1970s to the early 1980s, she performed with Opera Sacra under the direction of Father Jack Ledwon in productions of “Amahl and the Night Visitors,” “The Saint of Bleecker Street,” “Samson and Delilah” and “The Dialogues of the Carmelites.” Opera Sacra honored her for her contributions in 2011. For 27 years, she was soloist at the Unitarian Universalist Church of Buffalo. She also was a soloist at Temple Beth Am for 20 years. In the early 1980s, she was business manager for the Cheektowaga Symphony Orchestra. She received an Award of Excellence from the Cheektowaga Symphony and the Town of Cheektowaga. When Mrs. Badger retired from singing professionally in the late 1980s, she began a new career as a teacher. After taking courses with Empire State College and completing a bachelor’s degree in education at Buffalo State College, she began teaching kindergarten at Buffalo School 45 in 1988. She went on to earn a master’s degree in early childhood education from Buffalo State at the age of 60. She retired from the classroom in 2004. She was a member of Ars Nova, the Chromatic Club and the Wednesday Morning Musicale. She enjoyed collecting antiques, gardening, crossword puzzles and a variety of artistic interests. Her husband, a research chemist for Occidental Chemical Corp., died in 2017. Survivors include three other daughters, Lisa Addesa, Gretchen and Rebecca; six grandchildren and a great-granddaughter. A Mass of Christian Burial will be offered at 10 a.m. Saturday, March 30, in St. Joseph University Church, 3269 Main St.